0:00 to 2:47: As has become tradition, Dave and Jon talk evening drinks and their song choice for the episode, all of which are classics! If you want to give that song a listen (or three), and we can’t imagine who wouldn’t, here you go. 2:48 to 6:08: Scores are coming! The LSAT score release process is outlined so you know exactly what to expect on that fateful day, and then—particularly relevant to the discussion that follows—there’s talk of how and when to register for the next test. 6:09 to 8:47: On a more mundane note, a few quick thoughts on LSAC’s blog, Law:Fully, and some of its recent topics, and then a less-than-positive take on their newly-formed webinar series. 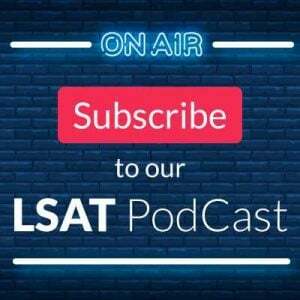 8:48 to 9:57: Dave sets up the main theme of this episode’s focus: retaking the LSAT. He also references a great blog article that touches on (and at times is the basis of) a number of the talking points to be explored. 9:58 to 14:02: Jon begins the retake talk by focusing on mindset: if your head’s not in the right place—if you’re feeling defeated or worn down—you have to make adjustments so that your continued prep starts on a positive note. Tips are offered on staying upbeat, bringing encouraging prior outcomes along with you, and not letting past struggles continue to weigh you down. 14:03 to 17:39: A somewhat counterintuitive examination of how and why taking breaks—short and long—from the LSAT shouldn’t worry you, and in fact often leads to improvement. Good news for those who haven’t done much/any prep since their last test date! 17:40 to 31:56: The discussion turns to how to create an appropriate study schedule. Key ideas include: organizing (and possibly obtaining more) study materials, how many tests is the “right amount” to take, the notion of quality over quantity when it comes to prioritizing your efforts and your time, the usefulness of older LSATs, and ways to still find tons of value in material you’ve already seen, even if you’ve done everything that’s out there. More on that last point here. The PowerScore Self Study Site is also mentioned as a great place to get free, pre-made, fully-adaptable study plans built around the time remaining until your next attempt. Use them! 31:57 to 41:12: With your study schedule and prep materials in place, Dave and Jon next give advice on how to identify and prioritize your unique strengths and weaknesses, how and why you should keep a performance log to track them, and the necessity of being as specific as possible when doing so. Dave’s blog article from earlier is mentioned once again, as is the Self Study Site: there are performance tracker sheets built into each study plan. 41:13 to 49:44: Now we move from knowing your personal weaknesses to actively working to fix them. This section of the talk concerns the practice portion of the cycle of (1) practice, (2) review, (3) identify…repeat. A lot of attention is given to full tests in this segment, but there’s also a discussion of why more targeted practice might be the better move (and why there’s still demonstrable benefit in doing anything, even if it’s not full-test scale). Dave also mentions the often unnerving idea of The LSAT Casino. 49:45 to 1:01:24: Post-practice review techniques (plural) are covered, each with an aim towards getting the maximum amount of information from every bit of work done. There’s an emphasis here on Blind Review, as well as some perilous oversights and omissions many students make when evaluating the content they’ve attempted. This serves to complete the loop, where now you’re ready to re-identify. Two interesting sidebars in this segment: The first is on world-class climber Alex Honnold and his remarkable achievements (a great read). The second is about trusting your training and your instincts as you test, both as answers appeal to you as correct, and repel you intuitively as wrong, and how those ideas are particularly critical to students facing a retake. I received my score back (first take) from January and got a 169. I submitted my application to a number of schools and am strongly considering retaking because I feel that I left a lot of points on the board. Would it be a bad idea to register for March? As I understand it, for T14, it is already quite late in the process. Could this hurt my application? Would schools find it inappropriate considering that I already applied? What are your thoughts? 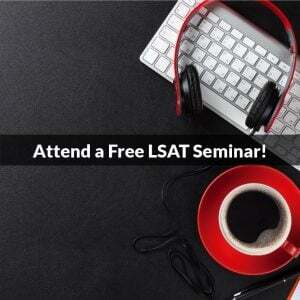 Thank you for the excellent webinars, podcasts and articles. The LSAT Bibles were invaluable to my prep. Good for you on the 169 score! If you think that you can increase your score by 5 points or more, go for it. I’m going to agree with Alicia here: if you feel you can do better (and you clearly do), retake. High scores mean everything in this process, and posting an even higher score–regardless of it being in March–will position you better to get in AND to get a better financial package. It’s actually a time-honored strategy to retake in hopes of improving your position, and so no one will look twice at you doing this and they certainly won’t react negatively. Please let me know if that helps, and good luck on the retake! I’d say that at the 169 level, it’s not even 5 points that makes it advisable. Let’s say Penn was his goal. If I recall correctly, their median is 170. Just getting to their median of 170 would actually move the needle at Penn (this is straight from their former admissions director). So, in that case, just a 1 point increase would be worth it for Penn. Amazing but true! 1) Is the rolling admissions thing overblown? Adcoms seem to say that applying early is extremely important and it seems to be common wisdom on forums. Is it really all moot when you have a 99th percentile score due to the relative rarity of it? 2) In that same vein, are “softs” in practice only a relatively small part of the decision making process? Say, when comparing two candidates with similar stats. By the way, I really love how organized, well-researched this blog is and the interesting and sometimes counterintuitive ideas you and others explore on here. To distill a question that remains at the heart of the matter – is it better to remain in limbo with a borderline score until the April take? And would doing so forfeit any earlier advantage from rolling admissions? What if they have filled their class? Or is it too late for any appreciable advantagd om the six weeks or so this late in the cycle? 1. It’s nice to have, but a higher LSAT score easily outweighs applying early. After all, is your application date reported to USNews? No, but your LSAT score is 🙂 LSAT scores are black and white measurables, and so they count more than when you apply. 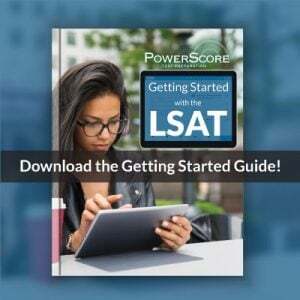 As one prominent consultant and former T14 admissions dean said, even scoring 1 point higher would make it justified to take a later LSAT (he was comparing December to February, but the idea is the same). 2. They are small, but they can have an impact, especially when the soft is particularly notable. Glad you are enjoying the blog and resources!! Thanks! The higher score outweighs all 🙂 And no, they will have not filled their class no matter what anyone says (and anyone saying it usually isn’t an expert). High numbers always have a chance, something that has been proven over and over! Thank you so much. You are such a clear writer and I really love reading your comments and these responses are veey useful. The podcasts are high quality audio ane entertaining (mountain climbing/true detective analogies haha and good chemistry between you and Jon). I wanted to know if you would be able to speak more on a future episode regarding the RC techniques. Can they be as cut and dry as games really? Thanks very much for the kind words—I really appreciate them! We will indeed be covering RC in upcoming episodes, since it’s a topic that is sometimes easier to talk about than write about 🙂 I don’t have a timeline yet, but we will definitely try to get to it soon!